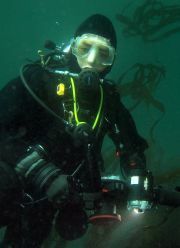 fmerkel wrote: I've been diving custom Seasoft suits for years. Bruce has his slant on things but I can assure everyone that it's hard to find a more sincere person. That kind of fine would likely be the end of a small business like that. His liability insurance should cover accidents and spills. However his insurance company is going to be pissed and they may cite the order as evidence of a willful violation and try to deny a claim. Ecology is not funds by fines. Fines go to the general fund which overwhelmingly is spent on education. 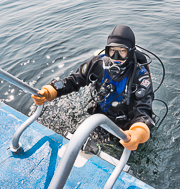 I've been diving custom Seasoft suits for years. Bruce has his slant on things but I can assure everyone that it's hard to find a more sincere person. That kind of fine would likely be the end of a small business like that. Tangfish wrote: I just read the whole thing. Even if I only take half of what he says as the truth, that is a classic example of a state agency steamrolling over a small business. I might have taken what he’s saying with a larger (maybe 3-5 shotgun shells worth of) grain of salt, but I myself have been on the receiving end of this type of thing by the state, so.... in the absence of any response to the contrary from WA Ecology, in my mind this is yet another case of state bureaucrats trying to justify their salaries by vilifying a small business that happens to be easy to cast as a bad guy. I hope Seasoft prevails in any appeal they can make over the ~$200K fine. That’s the sort of fine that can put someone out of business, and it seems extremely disproportionate based on the offenses as described by the owner, who to me sounds pretty sincere and willing to accept responsibility for his company’s mistakes. Glad to hear your take on this, hope you are right, and hope he prevails. I just read the whole thing. There is a lengthy note/explanation from SeaSoft owner Bruce Justinen on Scubaboard. He seems pretty upfront about the issue. If you are interested in this topic it's worth reading. 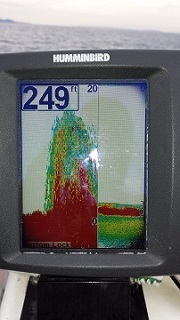 60south wrote: The amount of lead naturally in the ocean environment is a mystery to me; is the gunk from scuba weights so insignificant compared to natural sources that we're worried about nothing? I'm not particularly worried about scuba lead in the ocean, there aren't that many divers, solubility is low and there are bigger and more relevant sources. Lead in stormwater dominated streams is potentially a big limiting stressor, but nobody is diving in urban streams. Seasoft had lead in their stormwater (going to a stream), all over their (leased) parking lot, the interior of their leased building, in their kitchen... I'm far more worried about this industrial stromwater, the employees and their families. The amount of lead naturally in the ocean environment is a mystery to me; is the gunk from scuba weights so insignificant compared to natural sources that we're worried about nothing? CaptnJack wrote: It will depend on a ton of other variables (for aquatic life) because lead competes with ions like calcium and magnesium on gill surfaces - the resulting ionic imbalance is what causes toxicity (at a very high level). Since many of the lead salts appear insoluble, or at least not-very-soluble, I'd be more concerned about them becoming part of the sediment and then uptake by shellfish. From there, they'd make their way up the food chain. Admittedly, I know very little about this kind of biological process. CaptnJack wrote: The surface passivation of metallic lead in water is a mixture of lead salts including Cl-, OH- and SO4-. https://www.tandfonline.com/doi/abs/10. ... ode=ycst19 The high surface area along with the grinding of the pellets in the bag together afterwards is leading that passivation to rub off. Yes, yes. You are correct. I went looking for relevant studies online and found that same one, but couldn't get full access. I wrote to the authors requesting a copy. Seems like there's need for a scientific study on the lead scuba weight issue: what the effluent is, how much personal danger there is, and how much of an effect it may have on the environment. If the author gets in touch with me I may suggest that. The current marine lead criteria are quite dated (1970s and 80s era science) and primitive, and probably don't so a good job of protecting individuals of threatened and endangered species. It actually doesn't, depending on what you get and how you set them up. I went from zeagle style pouches with soft weights, to hard uncoated lead, literally duct taped together with a looped rope for a handle. It's easier to get in and out of the weight bags, and smaller. It’s the harness that holds the soft weights I have been rinsing or soaking, and I’m too lazy to (and never thought of) remove the weights each time. I guess I’ll soon be shopping for some of those hard coated weights, though I’m pretty sure it will add bulk to the mix, it’s probably better for the environment (and me). Magoi wrote: I dug out my old copy of Lange's Handbook of Chemistry. Lead oxide (PbO) is yellow. Lead chloride (PbCl2) is white. The milky stuff we are probably seeing from our soft weights is probably lead chloride (not definitive). It could form if some of the lead dissolved due to corrosion or some other type of reaction due to the condition inside the casing. Elemental lead is not highly toxic, but the dissolved forms are. I suspect that arsenic is a trace contaminant in the lead that was detected by the tests conducted by Ecology. Using coated lead would be better. Solid lead rather than pellets would also be better, as there is less surface area for reaction/dissolution. Other metals, such as Bismuth, may also corrode/dissolve. Sorry for using the term oxidation in the generic sense. The surface passivation of metallic lead in water is a mixture of lead salts including Cl-, OH- and SO4-. https://www.tandfonline.com/doi/abs/10. ... ode=ycst19 The high surface area along with the grinding of the pellets in the bag together afterwards is leading that passivation to rub off. Personally I don't rinse any of my lead. I don't see any value to that and I'd have lead contaminated water to dispose of. I just throw mine on the garage floor to dry until the next time I need it. The white discharge from my soft weights has been evident ever since I can remember. I never soaked my soft weights along with any other equipment but put them in their own container. I never heard anyone talk about what it was or if I should be concerned at all about it. I'm thinking I will be slowly replacing them with solid coated lead. I dug out my old copy of Lange's Handbook of Chemistry. Lead oxide (PbO) is yellow. Lead chloride (PbCl2) is white. The milky stuff we are probably seeing from our soft weights is probably lead chloride (not definitive). It could form if some of the lead dissolved due to corrosion or some other type of reaction due to the condition inside the casing. Elemental lead is not highly toxic, but the dissolved forms are. I suspect that arsenic is a trace contaminant in the lead that was detected by the tests conducted by Ecology. Tangfish wrote: please enlighten us. Sorry, that was not nice. In all seriousness though I don’t think I’ve ever noticed the milky residue. And now that we’re talking about this I realized there have been times when I soaked the whole kit and kaboodle (including weight harness and regulator) in the same tub. Hopefully I didn’t do too much lead poisoning to myself. But I do wonder about that residue- I don’t doubt you guys have seen it, honestly I may just not have noticed. But it could be any number of things once the lead oxidizes and comes into contact with sea water, freshwater, etc. It may or may not be harmful to us and the environment. It would be nice to know definitively. I don't have any doubt it is lead oxide. Used in lead based paint. It doesn't worry me but I'm sure it would shut down a school if discovered inside. Ugh, count me in on the tungsten weights! Did some [Googling] on various forms, uses, and types of lead contamination. Near as I can tell the stuff probably should have exceeding little use for just about anything if health is at all a consideration. The uses it has been put to over history are simply appalling given modern knowledge about toxicity. So, where do you get tungsten weights? Addendum - WOW! some initial searches on ballast, weights, etc.....that stuff is expensive! Last edited by fmerkel on Sun Dec 16, 2018 11:27 am, edited 1 time in total. fmerkel wrote: There's gotta be a chemist in this group with some more info on what the milky stuff is. That residue is almost certainly lead oxide. Lead naturally forms a thin oxide layer, a dull grey coating which often stays intact on solid weights. The trouble with shot weights is that the shot grinds against itself, wearing off the layer with use. It's not something you want to ingest. I'm kinda surprised there hasn't been more research and outcry about this within the dive industry. I won't wash them in the same container. Lead gets it's own dedicated bucket. The water gets dumped in a Juniper bush, dirt that will never see edible plants. There's gotta be a chemist in this group with some more info on what the milky stuff is. I see that milky residue all the time. It's why I wash my weights last, so the reg isn't contaminated. Depleted uranium would work even better.